If you’ve been on the job hunt lately, odds are that you will eventually have to go through an interview before you get offered a position. For some people, the interview is the easiest part of the process, but others see it as the biggest obstacle sitting between them and the job. 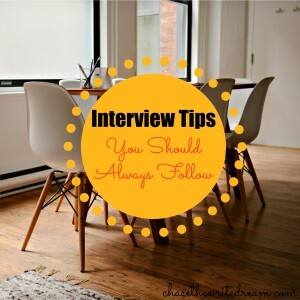 In this post, I’m going to share my top interview tips that should always be followed. Keep in mind that these tips are broad and can be tailored to meet the needs of the specific job you are applying for. At the end of the day, the whole point is to be remembered for the good things you did and said, not the things you should have done or could have done differently. 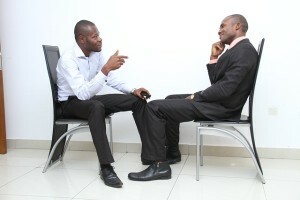 One of the best ways to prepare for an interview is to practice answering questions. There are plenty of sites that offer lists of common job interview questions, so make sure you take the time to go through those and create answers. To help make your answers stand out from those of the other applicants, make sure you use specific examples and experiences. For instance, if you are saying that leadership is one of your strengths, make sure you offer an example of how you were a leader in the past. It may have been the time you led a team of ten individuals to produce the highest sales of the quarter, or the time you led a staff training that resulted in excellent feedback from everyone. If it helps, have a friend or family member ask you these questions and give you feedback on not just your answers, but your tone, nonverbal language, and facial expressions. You could also practice in a mirror so that you can see how you look when you are giving your answers. This is one of those interview tips that people often hear, but they fail to follow through on some of the time. If you are applying for a position, the company wants to know that you have a least some knowledge about their services and/or products. This doesn’t mean you need to be an expert, but it does help to show them that you do care and are invested enough to know what the company stands for. Extra Tip: Use your answers to make a connection between you and the company. For example, if you are applying for a design position and you know the company uses Adobe programs, you can use your previous experience to relay to the company that you’re familiar with the programs. If you aren’t familiar with Glassdoor, then you’ll want to definitely check it out. Here, past and present employees can write reviews about their companies, list salary ranges, and give some insight into the company’s interview process. If you are applying to a large company, odds are that there are numerous reviews listed, which means that you can gather interview tips from several people all in one place! Make sure you pay close attention to any patterns you see from employee to employee… That could hint that you may be asked the same question. Now that you’ve prepared, it’s time to actually show up for the interview. This part is extremely important because first impressions are everything. You want to show that you know how to be punctual, but you also don’t want to show up 30 minutes early and make the employer feel as though they need to rush to talk to you so that you don’t just sit in the hall for a half hour. The best rule of thumb I’ve heard is to arrive about 15 minutes early. If you arrive any sooner, it is best to either stop by a local coffee shop or wait in your car a bit until the time gets closer. The most common interview tips address your appearance. Why? Because this is what the employer is going to notice when they first see you! Now, some positions are very laid back and let their employees wear jeans every day. Although this is great for the workers, it doesn’t mean that you should show up to the interview in the same attire. If you know you’re walking into a more casual atmosphere, try finding a good pair of slacks and a nice shirt to wear. Avoid anything with too many patterns or designs. Try to keep it as clean and fresh as you can without coming off as too overwhelming. You want the employer to focus on you, not your clothes. As for hair and makeup, keep it natural. The interview day is not the day to experiment with the cat eyeliner that you’ve been dying to try. Instead, dab on some mascara, a little lip color, and call it a day. If your hair is having issues, pull it back into a nice ponytail. As a courtesy, it’s always nice to send a note to the interviewer to thank them for considering you and taking the time out of their day to speak with you. Although emails are totally fine, it may also be a nice gesture to send a note by snail mail. This doesn’t need to be anything elaborate! 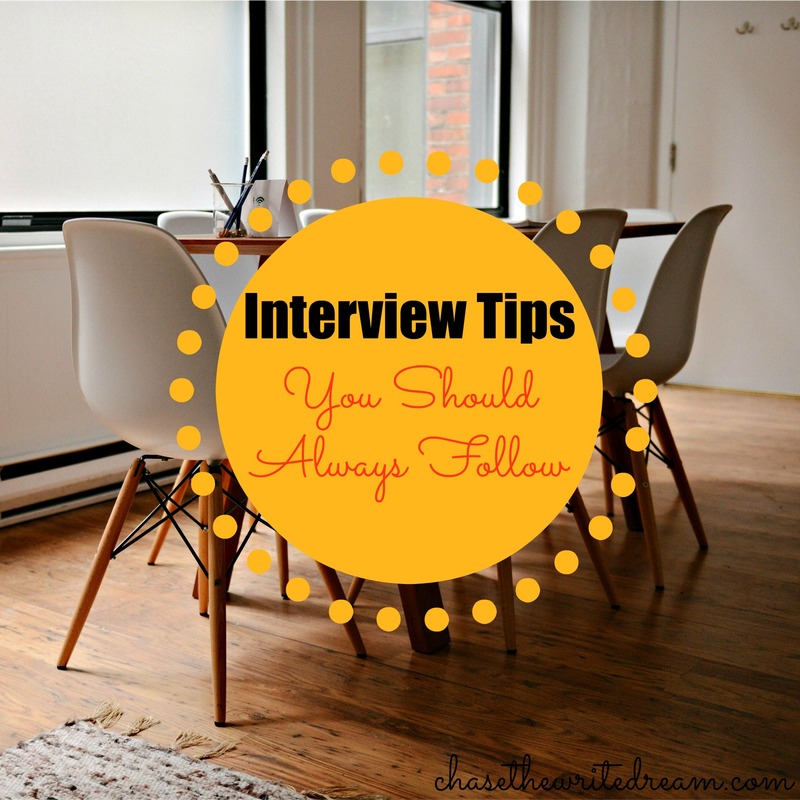 You can find tons of other interview tips online, but I would love to hear some of the ones you have! Feel free to list them in the comments below! Thinking About Getting a Master’s Degree? Read This! I would say that it may be a good idea to come prepared to make a presentation about yourself, however that may be. 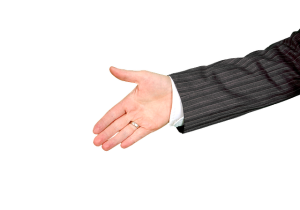 It is very likely that you will interview with someone who glanced at your resume 10 seconds before they walked in the door and that is about as prepared as they will be. They will go through your resume pretty quickly, ask you a few canned questions, and 5 minutes into your 30 minute interview, they’ll be done. So now what? 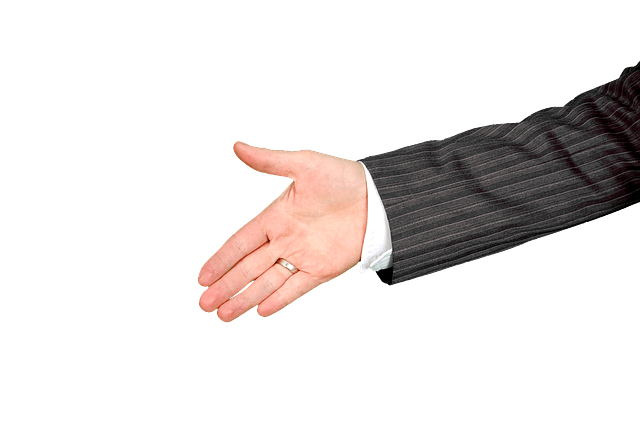 This person is going to impact the hiring decision and you’ve had 5 minutes with them and now you’re in that awkward silence phase of things. This is the time to bust out that presentation that you prepared. I’m an engineer, so it is usually samples of some of my work, but it can apply to other jobs. It could be a sample of an accounting spreadsheet that you put together, a company guideline that you authored, or perhaps a project from a college class. 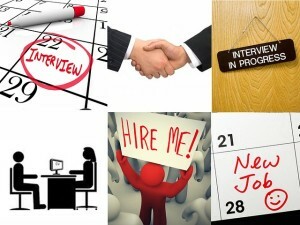 Ideally, you have an idea of your interview schedule and can tailor the material to who you are meeting with. The purchasing person that you are interviewing with doesn’t care about your drawing portfolio and the design manager you are interviewing with doesn’t likely care about your fancy currency conversion spreadsheet. If you’re smart about doing this, it can really take the interview to the next level and make you stand out. This is about you taking control of the interview when given the opportunity (and not beforehand) and showing your stuff. I promise, that makes a good impression. Thanks for the inside scoop, Nikki! I think being on-time is super important as well! Great tips! I was laid off in October and have been looking (not super actively) for a new job. I had a phone interview last week and totally bombed it – I was so nervous! Preparation is key! I hope that you’re able to find a job that you’ll enjoy, Dana! I have been out of the loop so long! Thank you for the tips! Great tips. Interviews always make me really nervous! I think its always good to be yourself. Show your personality while remaining professional. Especially when it comes to interviewing with smaller teams. I just flew down to Austin for an interview and while the day was madness (delayed flights, rescheduled the interview throughout the day) it ended up being super casual, at an airport bar and was a really great way to see if I fit well with the vibe of the company. For me its always about making a connection with the team and with the people I’ll be working directly with. If you’re going to be working under someone for years to come you want to be sure you can get along well beyond just completing the tasks assigned! Good one, Angela! I think that establishing those connections can make such a difference! Excellent tips here! Another good one is to go into the interview with the concept of just having a conversation – that can be especially valuable if you’re nervous about doing an interview. It can also help the whole thing flow more naturally, and feel way more comfortable for the interviewee. I would also recommend that at the end of the interview, you confirm when you’ll hear from them, and if they’ll be contacting you or if you’ll contact them, and so on. Logistics are important to sort out. Good tips. I have never heard of Glassdoor, I will check it out. Asking questions shows you researched the company and ot ahows your interested too. Glassdoor is full of tons of great information. I would definitely recommend checking them out! Awesome tips! When I used to job hunt (I’ve been my own boss for quite a long time now), I always researched the company (as you suggested). Worked like a charm! Glassdoor was soo helpful for me in my job search. Other than that, preparation, just like you said! My husband I rehearsed the questions I knew I could expect to be asked until they were natural. My interviews were terrifying but they went wonderfully! Interviews… they are nerve wracking, exciting, stressful, overwhelming, and fun all at the same time. These tips are great to remember forever! Thanks for sharing! This was a great refresher 🙂 Have some openings I’m goin after soon and need to get back in this mindframe! I love these tips! I will be pinning this for future use. Thanks for sharing! Great tips! You’ve got to “know” the company and you MUST present yourself well with confidence, eye contact, and friendliness! Definitely agree with presenting yourself well. It’s amazing how quickly people make impressions of you! Those are really great tips for someone looking for a job. I’ve been working at the same company for over 20 years. I forgot all about that. I really needed these tips- thank you!! I definitely need to start practicing more for when I start interviewing here soon! My favorite go-to question for an interviewer (when I’m the interviewee) is some version of “What does success look like in the role you’re hiring for.” It sounds smart and forces them to give you more information about what they are really looking for. These are great tips. Glassdoor is a definite must for me. I also Google everyone I am going to interview with (if I know the names ahead of time) to see what they are like, it has definitely worked in my favor but you have to be careful with how you use the information!